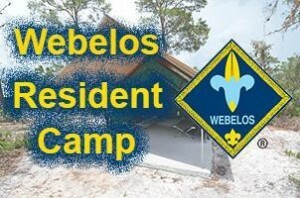 As we previously communicated, we have two options for Webelos Resident Camp this summer. It is now time to sign up to reserve your spot! A 50% deposit is required in order to reserve the spot, and spots are filling up quick! We will be collecting payments at the Pack Meeting next Sunday. Note that it is highly recommended, but not required, for a parent to attend the camp with their Scout. It they choose not to attend, then they must find another adult who will agree to be responsible for their son during the event. No siblings are allowed. Option 1: Camp 3 Falls on June 29 – July 2. Cost is $195 per scout, and $105 per parent. More information can be found HERE. Vicky Ladjevic will be coordinating this event for us this year. Please confirm directly with her (vladjevic818@gmail.com) to hold your spot, and give her a check (made out to Ventura County Council, BSA) for at least 50% of the total amount due no later than this coming Sunday, April 27th. Option 2: Camp Cherry Valley on August 10 – 13. Cost is $235 per scout, and $175 per parent. A video about the camp can be found HERE. I (Jim Remley) will be coordinating this event. Please confirm your spot with me, and get me a check (made out to San Gabriel Valley Council, BSA) for 50% of the total amount due no later than Sunday. Again, this is a very memorable outing that your Scout will likely remember as the highlight of his Cub Scouting years. Both of these camps are real “Boy Scout” camps that open their doors to Webelos for a few weeks in the year. Feel free to contact Vicki or myself if you have any questions.